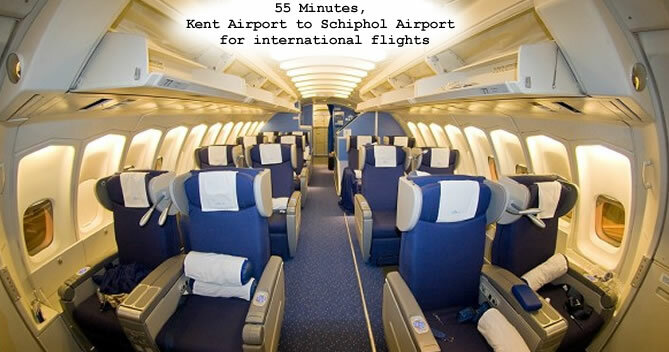 International flight deals and flights offers from Schiphol via Kent Airports. Amsterdam Airport Schiphol handled 49.8 million passengers in 2011, achieving notable success as it aims to be ‘Europe’s Preferred Airport’. NS Hispeed trains operate intercity and high-speed train (HST) travel from the Schiphol Station to across the Netherlands and through Europe. Schiphol railway station is conveniently located directly beneath the airport under Schiphol Plaza. Schiphol’s award-winning efforts are all aimed at enhancing the passenger experience, as it strives to find solutions that ensure a comfortable travel process. Amsterdam Schiphol Airport is located 17 km southwest of Amsterdam (Dutch capital). 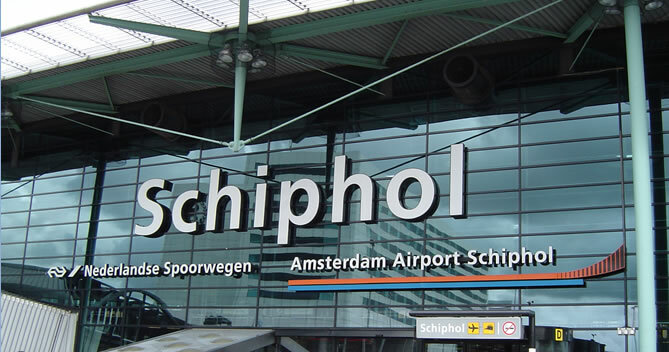 One of the largest airports in Europe, Schiphol handles over 100 airlines flying to over 200 destinations. British Isles (including Ireland, and Jersey). Schiphol moves on new important step towards reducing CO2 emissions such as electric buses to transport passengers to and from their aircraft.